An update to the Android Scan to Spreadsheet is done! A complete overhaul of Scan to Spreadsheet for Android is finished. Now all the features Apple users are so familiar with are in the Android version. Scan to Spreadsheet users all around the globe have saved a lot of time! 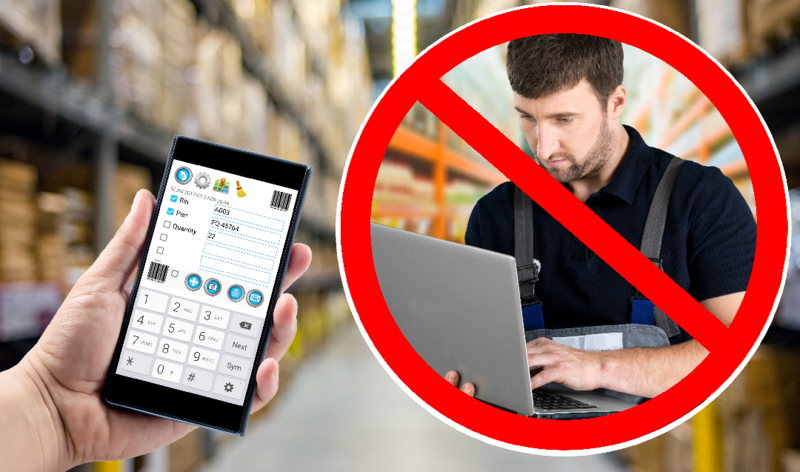 We have countless stories of how quickly tasks get completed with Scan to Spreadsheet barcode scanning. The overhaul of the Android version of Scan to Spreadsheet brings it up to the same quality and features of the Apple version. Both Apple and Android versions of the app are the same. If you are familiar with the Apple version, picking up an Android device and using the app will be easy. Android users, you’ll love all the new features. An important one is importing a spreadsheet and doing a lookup on scan. Now when you scan a barcode other columns will fill with a description, price, or any information you specify when matching. Scan to Spreadsheet does what the title says. Using the app on Android or Apple devices, scan barcodes with the built-in camera. Collect those scans as new rows in the app. Then email that spreadsheet as an attachment or share it with other apps, like Google Drive. Carry a clipboard and count things? We want you to use the Android Scan to Spreadsheet instead! Think of the time you will save. The only way we can think of to do this at this time is to follow the steps for the lookup as described in our video, send the new spreadsheet to yourself, then add in the barcode images to the spreadsheet before forwarded to the other party.